Supplements have become quite popular over the course of the past decade, and the supplement industry has increased its total annual sales by over 34 billion dollars. This means that alot of consumers are turning towards the use of supplements for performance enhancement, and on another note the research of ingredients to make this possible has increased as well. 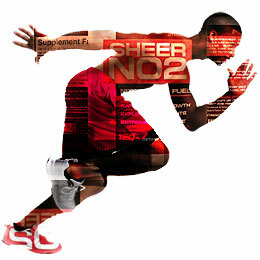 L-Arginine (arginine) and L-Citrulline (citrulline) are two popular ingredients to look at for sports performance. Supplements are not to replace medical advice from a physician; nor are they intended to replace a proper diet or training regimen. They are to be used in the manner they get their name from, which is to “supplement” (help with) an established healthy diet and training program. In short, every supplement is designed to just give you more of a boost, but you cannot sit around eating chips expecting results. Protein Powders/Liquids/Bars – This supplement comes in a variety of different forms such as whey protein isolate or micellar casein. They basically give you added protein to your diet to support muscle recovery and growth. Sometimes used for meal replacement. Creatine – The most common forms of creatine to supplement with are monohydrate, kre-alkalyn, and hydrochloride. Creatine is naturally produced in your body, and added amounts of this are to support muscular endurance, growth, and reduce early fatigue. Multi-Vitamins – Contains most of the micronutrients (vitamins & minerals) your body needs to function properly. Usually contains a low amount of calcium to prevent inhibiting nutrient absorption; use a calcium supplement 3-4 hours after a multi. Nitric Oxide (NO) – NO supplements are often referred to as “pump” supplements since they are used to increase the blood flow to your muscles for better oxygen support; possibly increasing muscular strength, growth, and endurance. This is the type of supplement under the spotlight in this article. What Exactly is Nitric Oxide? Nitric oxide is not the gas used by dentist – that is nitrous oxide; nor is it the gas that is used for boosting the performance of a car, which is nitrous as well. Nitric oxide is actually a molecule in your body used to enhance the cells ability to transmit and receive signals, which is naturally created and used throughout your body as a whole. These molecules were actually found to be beneficial for our cardiovascular system prior to any sports enhancement uses. Looking at the benefits that nitric oxide provides, you can see that there is alot to gain from boosting your nitric oxide levels if your body is already in a healthy standard, and proper nutritional diet is being followed. The discovery of nitric oxide and its benefits has been able to assist with treatment of medical conditions, and is so important that a Nobel Prize for Medicine was awarded to the scientist who discovered its presence and purpose for the human body. Not even a decade past before it was found to be highly useful for sports enhancement. Numerous studies show that this is not just a theory, but rather a fact for most people. 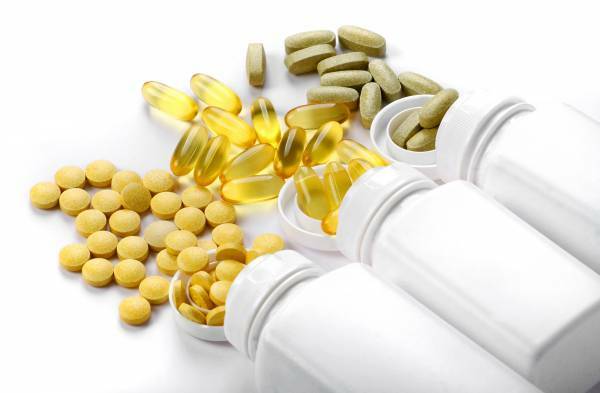 All supplement brands use different ingredients in different dosages. Watch out for those listing ingredients as proprietary blends because you never really know how much of the listed ingredients are being used. This does not mean a supplement is necessarily bad, but some brands use this as a cover up tactic to fill the bottle with cheap ingredients in hopes of selling it for higher prices. With that out of the way; the use of arginine and citrulline has become the new secret weapon for athletes seeking performance enhancement. They are relatively safe ingredients since they are two different amino acids that are found within your body regardless if you supplement with them or not. Other ingredients in NO supplements can range from herbs found to promote blood oxygen levels or hormones, and some even contain some type of caffeine ingredient for increased energy, which is taken as a pre workout supplement (PWO) prior to training. This amino acid is classified as a non-essential amino acid, but is categorized further by being noted as a conditional amino acid. Non-essential means that it does not have to be received through food consumption since it is already naturally present. However, conditional amino acids are based upon the health and condition of the individual, so it may be essential for some people depending on the status of their health. Increasing the presence of L-arginine may increase the recovery and regeneration of muscle cells; thus the reason people supplement with arginine for muscle recovery, growth, and to promote better training performance. Basically you can possibly pump out more repetitions due to decreased fatigue derived from lactic acid, and strength may be slightly enhanced as well. Arginine is actually quite important for your body, and anybody seeking to increase their training potential should pay close attention to what arginine truly is. This amino acid is essential for the production of protein and formation of creatine. It has the ability to cross the blood-brain barrier, boosts liver health and breaks down liver fat, and most importantly for this article; it is the precursor to the development of nitric oxide. Hormone secretion is an added bonus for training enhancement since it deals with glucagon, insulin, and growth hormones. All of these hormones play a role in muscular growth. It’s always better to consult your physician prior to using any new supplementation no matter what it is. Arginine is pretty harmless to supplement with when properly consumed by healthy adults, but people with high blood pressure or existing heart conditions are strongly recommended to seek medical counseling before increasing nitric oxide levels. This isn’t a scary supplement and it’s definitely not anything close to steroids or anything of that nature. This amino acid could possibly open up the numerous benefits already discussed, and is actually required for citrulline to be produced alongside nitric oxide. The diagram provided shows the process of arginine being converted into nitric oxide and breaking down. The noticeable benefit from supplementing with arginine is because nitric oxide is depleted just like glucose during training; and using it prior to training helps prevent early depletion. Proper dosages for this supplement would be 5-6 grams (g) for pre workout benefits, and up to 18g’s per day. Results vary for each person, and it usually takes up to two weeks of use to actually see any results. Always consult a physician if you have had any prior medical conditions. Whole foods containing arginine allow you to receive the benefits through natural sources. Supplements make it a convenience, but you should always eat properly to get any nutrients first. Citrulline is also a non-essential amino acid that does not have to be received through food consumption. Instead, it’s actually derived from other amino acids within the liver, and is abundantly found stored within this organ as well. Unlike L-arginine, this amino acid is not essential for the production of major proteins or any enzymes either. However, the importance of citrulline is because it is the precursor to L-arginine. 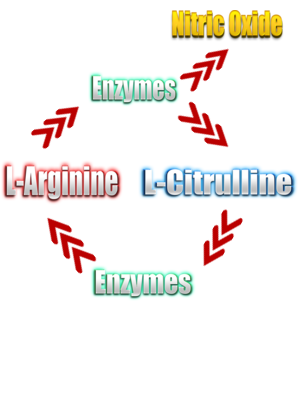 Basically, in order for arginine to be present naturally we need citrulline to synthesize into it through the arginine-citrulline loop shown in the previous diagram. Citrulline is actually developed from L-ornithine synthesizing. Some people supplement with ornithine to reduce muscle fatigue as well, but arginine and citrulline offer more benefits as a whole. Supplementing with citrulline offers the same performance benefits of arginine, but is possibly better because it elevates the presence of arginine for longer periods since it’s creating it. Sounds a bit odd, but using arginine is less potent for its production compared to citrulline. Plus this amino acid is absorbed faster than arginine. The precautions are still the same with citrulline as stated previously for arginine. Although ornithine is the precursor to citrulline; it is possibly unnecessary to supplement with for synergistic benefits alongside citrulline. Basically using citrulline is potentially better because it helps develop the other two amino acids mentioned, so arginine seems to be a runner up in the debate on which amino acid is possibly more beneficial for nitric oxide enhancement. Dosing with L-citrulline pre workout is 6-8 grams about 45-60 minutes prior to training. A daily dosage of 9g’s will suffice for maximum effects to occur. 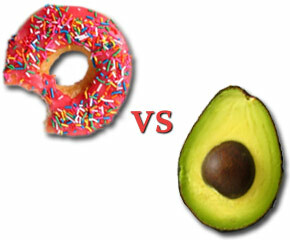 However, as with all supplements, your body will take the nutrients provided differently. Using a dosage of 8g’s could actually mean only 4g’s is actually absorbed into the bloodstream, thus the reason you don’t rely heavily on supplements for sports enhancement. Benefits received are always a possibility and not definite. The usual question is “Which supplement should I use?” There are hundreds, if not thousands of different supplements available on the market, and nearly every brand selling a multivitamin is going to also have some type of amino acid supplement containing arginine, citrulline, or both. This is where the dilemma comes in because it’s hard to choose what information to be trustworthy. Examine is a website that is quite trustworthy because it provides consumers with information about nearly every ingredient being used. The thing that separates them from the rest is that Examine actually provides all relevant details with links to research that has been provided, and the website is not biased to showing only beneficial or negative research information. For supplement use; supplement reviews (SR) is a community of consumers that gives unbiased reviews on supplements that is helpful to like-minded individuals. If you seek quality reviews then you have a place to go for friendly advice. In the end, you want a supplement that has the proper amount of the ingredient to dose with, and most nitric oxide products are going to have more than enough with additional helpful ingredients. Unless stated as a beneficial supplement; try to avoid anything with proprietary blends since you really have no idea how many milligrams or grams of an ingredient is truly being provided. 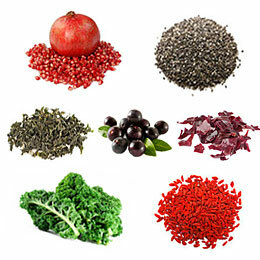 Top Superfood Trends: Which One Should You Try?